If youâre the kind of person who has always wanted to live in the heart of the old Santa Fe east side, this might be the right home for you. Located at the corner of Garcia Street and Acequia Madre, this updated and well maintained two bedroom, two bath condo retains the old Santa Fe feel without the âœI could be anywhereâ interior. Itâs a charmer with two bedrooms and baths, a separate entry sitting room, an open plan kitchen dining living room, and one covered parking space with access to a small, locked storage area. Wood and six inch Saltillo tile cover the floors, vigas and planking create the ceilings. There are two hot water heaters, one is tankless. Entry is through a private south facing courtyard. Donât want to brew your own coffee? Downtown Subscription is just across the street. 1. Wood-burning, Fireplace, Gas Burning. 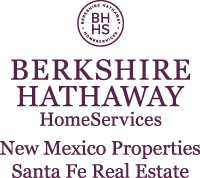 I am interested in 507 Acequia Madre, Santa Fe, NM 87501. Sign up for Inside AccessTM to view recent sales near 507 Acequia Madre.